Gove County is named for Captain Grenville L Gove of company G, eleventh Kansas cavalry, who died November 7, 1864 during the Civil War. Description: The building faces east and is a two story red colored brick structure. The building has a small entrance extension on the east side. The building has been extended on the west side. The roof line is flat. The building was remodeled in 1960 and in 1974, the exterior was faced with brick. Note: The courthouse was originally built as the Benton House, a hotel. The building was a handsome post-rock structure. 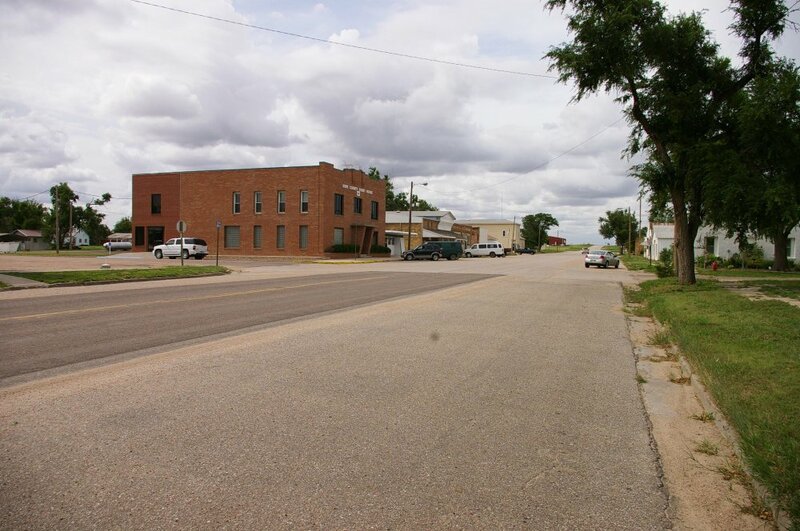 The Gove County purchased the hotel in 1886, and moved into the building in 1887. 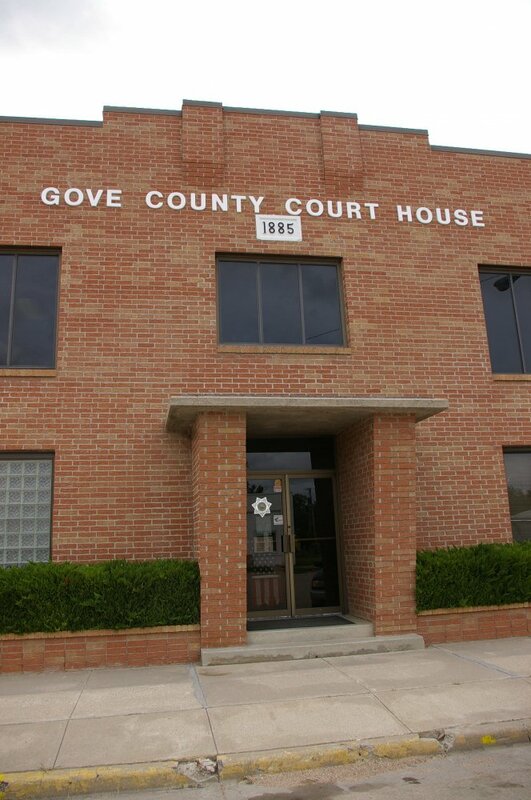 At some point in its history the stone courthouse was stuccoed over, and it existed as a white colored stucco building for most of the 20th Century. In the past 20 years or so additions have been made to the rear of the structure and the exterior was bricked over. See: The building is the third oldest courthouse in Kansas after the courthouses in Chase County (1873) and Pottawatomie County (1884). 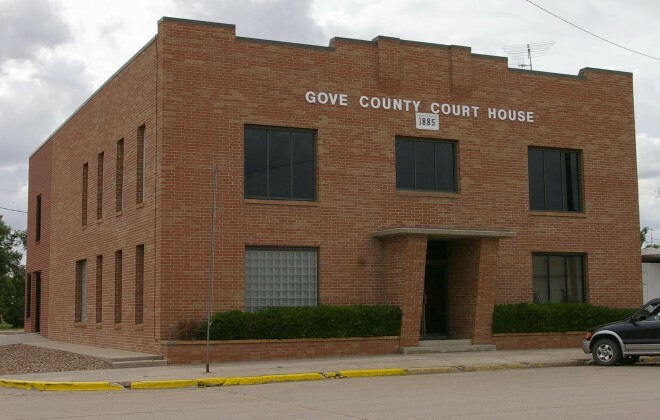 The fourth oldest courthouse is located in Linn County (1886).